What people need to know about Haiti is that it is one of the poorest nations in our hemisphere. Government corruption, extreme poverty (most people live on $ 1.25 per day) and an earthquake that killed over 250,000 people in 2010 has left the country on the brink. Add to this backdrop 32,000 orphans and no public education system and it is evident that “hope” is in short supply. 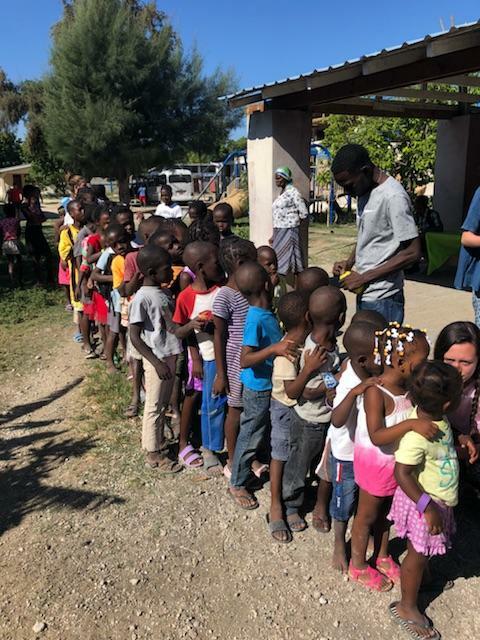 The Children’s Heritage Foundation leads groups to Haiti and other countries several times per year. Their work primarily supports the most vulnerable people in this country, the children. One of my best friends traveled to Haiti last year under their leadership with a group from her church in San Diego. The Foundation and her church have been going to Haiti for 8 years arriving just 2 months after the 7.0 earthquake had struck. After hearing my friend’s stories and seeing the pictures from her 2017 trip, I committed to the Spring 2018 trip and I am so glad I did! Everyone that travels with the group is asked to secure financial donations, in part, to assist in sponsoring the work we do while we’re there. Thanks to individual donations, our group was able to feed over 1,000 people during our 6 days and visit 3 orphanages. While we were in Port-au-Prince, we sponsored a 1 day Empowerment Conference for 300 women and men from one of the poorest parts of the city. We worked in the small town of Merger hosting a bible school and helping a local pastor continue construction on a school that the Foundation erected over the last few years with people like us during trips like these. We spent our days at orphanages singing songs with the children, performing skits, working on crafts, and having recreation time. Each day our group provided and served a hot meal for everyone. The best part of the trip was just being with these amazing children! I played lots of tag, taught the kids how to play “Duck, Duck, Goose”, officiated lots of relay races and played soccer and basketball with the boys. The girls loved to play with my hair and get so tickled when we would turn on music for a pop-up dance party! Throughout the week, the older children would proudly show me their school notebooks and their English lessons – so inspiring! Each night, our group would prepare for the next day’s activities by stuffing goodie bags with hygiene kits or first-aid supplies or fill plastic bags with rice and beans to distribute. As hot as it was, 93 degrees, and exhausted as we would be, we looked forward to each new day! 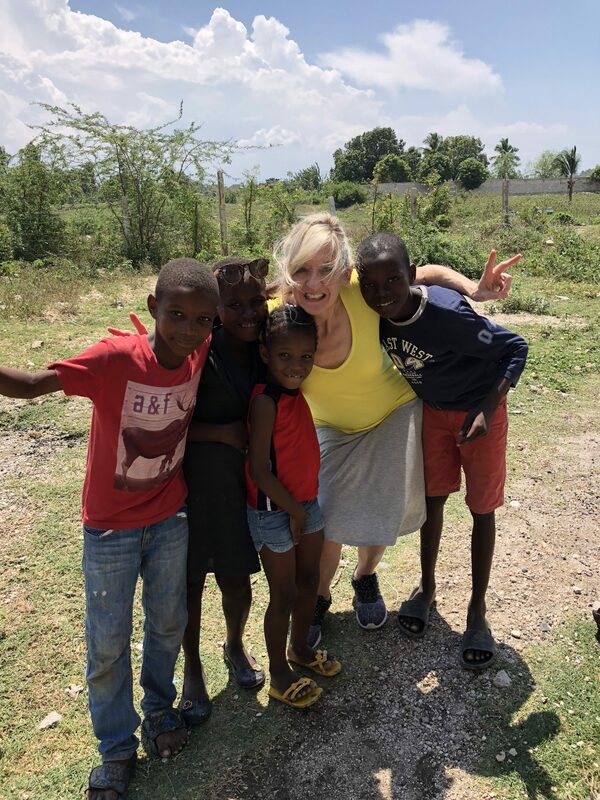 It was leaving Haiti that was heart-wrenching. I found the Haitians to be resilient and proud people. The children showed such determination and promise! Educating this next generation is so important for the country, yet there are so many without any means and so many orphaned children. I see myself going every year and contributing in a small way to lift these people up in any way possible. My trip definitely lifted me up and was truly one of my life’s greatest honors. I am counting the days until Spring 2019!